A couple of days back Nokia released a unique special edition of its new flagship (most bloggers still question whether it is so?) N96. This special edition available in Hong Kong, is a Bruce Lee edition. So whats so great about this phone? Well for starters, this phone has some exclusive accessories and a imprint of Bruce Lee on the battery cover. The specs for the N96 remain the same. What you do get is a Bruce Lee doll in a yellow jumpsuit, a wrist strap with the legendary martial arts teacher’s name, a key chain in the shape of a ‘nunchaku’. The phone also contains some exclusive Bruce Lee content, mainly in the form of themes and some rare photographs. 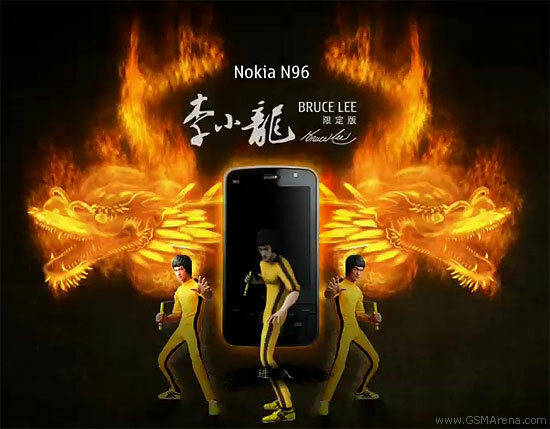 This N96 Bruce Lee edition is retailing for about USD $1300, while a normal N96 is for about USD $600. 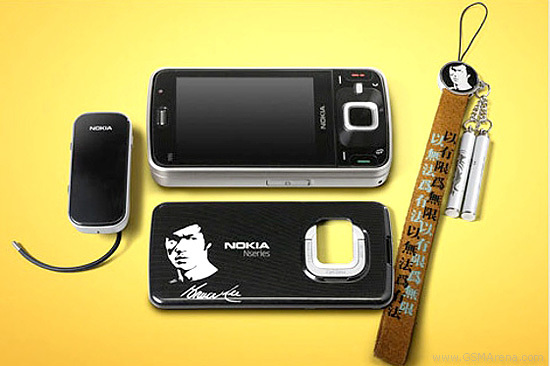 So if you are a big fan of Bruce Lee, and Nokia phones and have the cash lying around! This is your phone. Nokia have created a website also for this special edition phone. Here is a Google cached version of the website. Check out this video too!